GLIDR is a permission-based platform and there are two levels of permissions: organization-level, and project level. 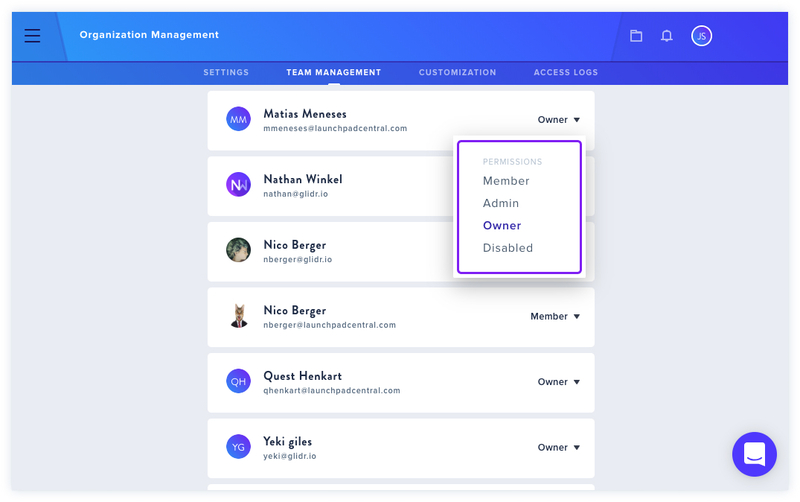 Users can be added to an organization as an Owner, Admin or Member. Learn more about Access Logs here.